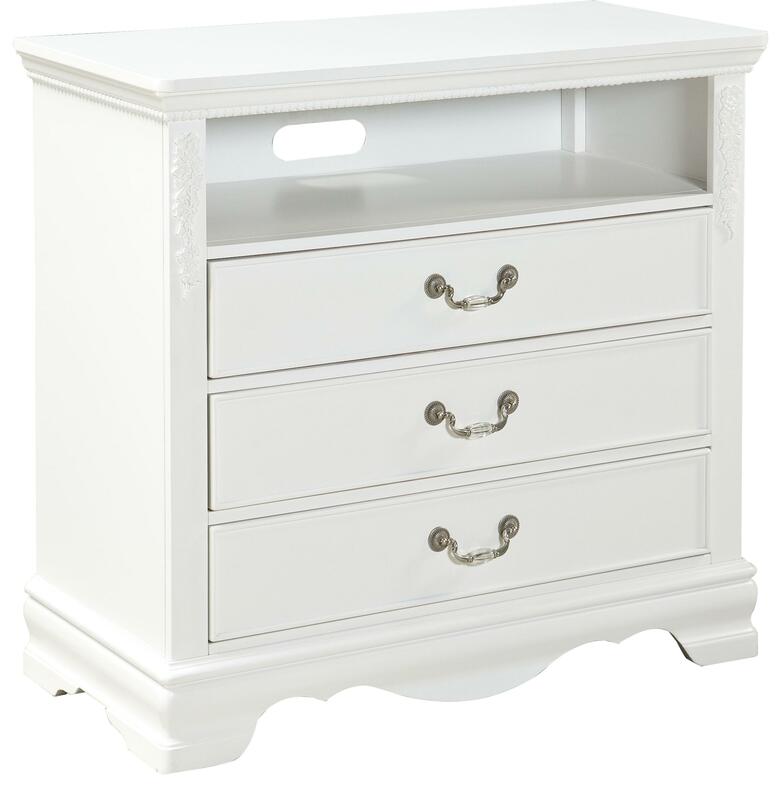 Accent your youth's bedroom with the Jessica Media Chest. 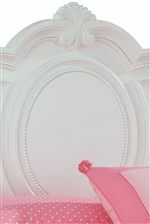 Perfect for modernizing a bedroom space, it is also full of pretty details to visually please. 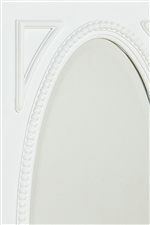 It is crafted from solid hardwood and quality wood products with a clean white paint finish. Featuring beaded pearl trim and beautiful floral ornaments, this chest is a truly charming piece. Three drawers provide convenient storage space for media accessories, and above, an open compartment offers the perfect place for a DVD/Blu-Ray player. The chest top is 36" wide to set a TV. 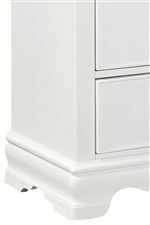 Accented with scrolled hardware in a brushed nickel color, the Jessica Media Chest lends a lovely accent to any bedroom. The Jessica Media Chest with 3 Drawers by Standard Furniture at Miskelly Furniture in the Jackson, Pearl, Madison, Ridgeland, Flowood Mississippi area. Product availability may vary. Contact us for the most current availability on this product. Storage Three drawers. Open media compartment.